Joe Jones uploaded a sweet picture on Instagram cuddling a sweet little pup! Get ready to fill your heart with warm and fuzzies because the picture is extremely awww-some! It comes as no surprise that DNCE’s lead singer, Joe Jonas is a huge fan of everything cuddly and cute, especially sweet little puppies. Yes, you read it right, Joe is obsessed with dogs! If you take a look at Joe Jonas’ Instagram account, you will be surprised to see that his feed is filled with cute photos of him posing with his dog, and it’s every bit of adorable! Imagine not only getting to see Joe Jonas himself, but also his adorable pooch! Cute meets cuter! Joe has been spotted taking his dog for a walk on more than one occasion. Once, when his dog was exhausted, sweet Joe picked up the poor little guy and carried him the rest of the way! Recently, Joe Jonas uploaded the sweetest picture of him holding a very adorable puppy! He captioned it with, “Backstage Lover.” Even if his manager is not waiting for him backstage, he will surely find a dog waiting to be loved and cuddled by the star! During one of his interviews, Joe revealed that during his music tour, he specifically asks the production team to keep not just one, but 12 puppies backstage! Imagine 12 puppies juast waiting for you as you exit your show! 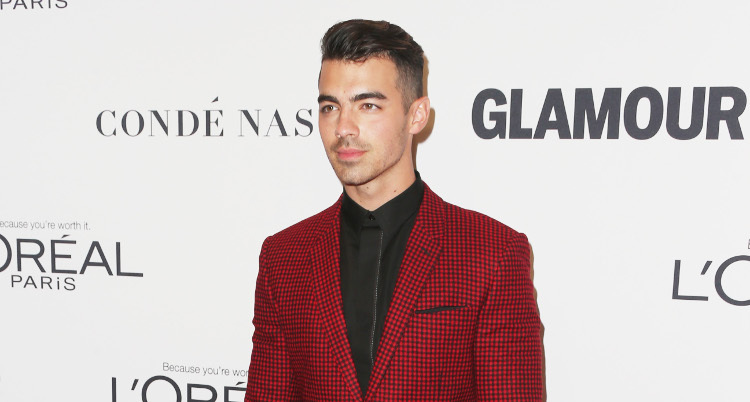 Joe Jonas has nothing but love for the pooches, and who doesn’t love a guy who loves dogs!